In the spirit of Black History Month, we at Marazul Tours want to take the opportunity to highlight and celebrate the work of renowned Afro-Cuban filmmaker and screenwriter; Gloria Rolando. Since 1976, every US President has designated February as Black History Month. The annual celebration of achievements by African Americans highlights the central role that the community has had in the history of the US. The importance and influence of the black community are true for all nations which were affected by the African Diaspora, none more so than Cuba. We believe that black history should be reflected and interwoven into every month of the year, as it is an essential part of the history of the all the Americas. Through her career, Gloria Rolando has worked to capture the essence and influence of the African culture within her native country of Cuba and the Caribbean and her work has been celebrated across the globe. Gloria Victoria Rolando Casamayor is a Cuban filmmaker and screenwriter. She was born on April 4th, 1953 in Havana, Cuba, and her filmmaking career has spanned more than 35 years. She attended the Amadeo Roldan Conservatory School, where she concentrated her studies on various subjects; music theory, piano, harmony, music history & musical notation. In 1976 she earned a BA in Art History from the University of Havana and soon after started her career as an assistant director at the Cuban Institute of Cinematographic Arts and Industry (ICAIC.) Finally, in 1987, she completed her postgraduate studies in Caribbean Literature. Gloria’s artistic career has focused mainly on the history of the African Diaspora in the Caribbean. 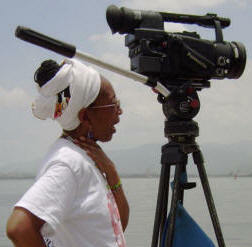 Her goal is to preserve the Afro-Caribbean culture and religious values via filmmaking. Her documentaries have won several awards and have been critically acclaimed. Her first documentary titled — Oggun: An Eternal Presence (1991) focused on the preservation of the African Yoruba religion by the Afro-Cuban community. The film was well received and won an award at the Festival of Women in Videos and Images in Ecuador in 1994. 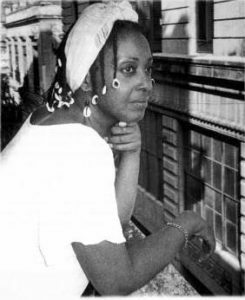 Some of her best received and well-known films are; Eyes on the Rainbow (1997), which focuses on the story of Assata Shakur, Breaking the Silence (2010), about the history of the Independent Party of Color, the first Black party in the Americas outside of Haiti, and her latest film, Dialogo con mi Abuela (2016), which focuses on a conversation Gloria had with her grandmother in 1993. Marazul Tours is privileged and honored to consider Gloria a friend, and collaborator. She has met with and spoken to many of our groups, and her partnership and expertise have made our travelers experience that much richer. Her success is a testament to the importance of the influence and history of African culture in the Caribbean and we look forward to celebrating more of her amazing work.